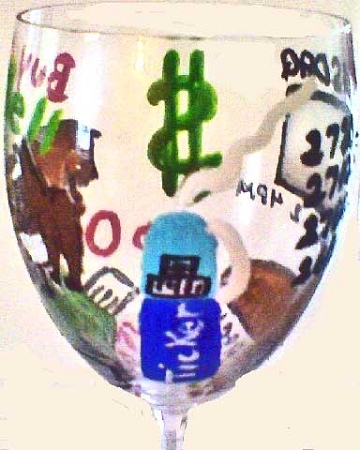 The ticker tape is running and stock symbols are popping on Clearly Susan's hand painted stockbroker wine glass in our career section. 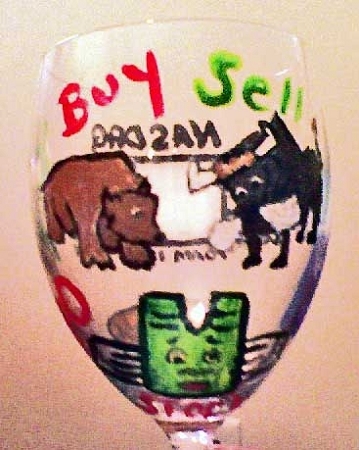 We hand paint stockbroker wine glasses for the Wall Street guy who performs well in Bear or Bull Market. 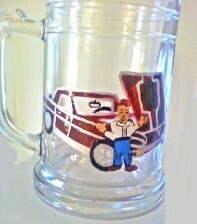 We can hand paint any career or job that you request. We can include names and dates. 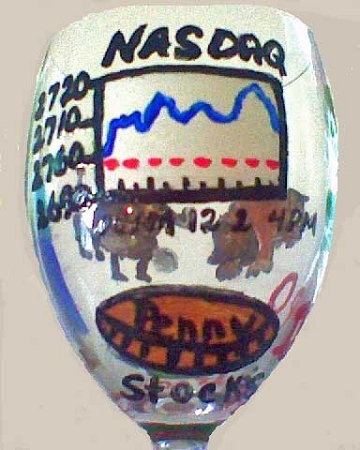 These stockbroker wine glasses are outstanding. My husband loves them. 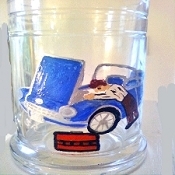 What a unique gift to give him. He was thrilled. Thank you so much.